Light & Darkness Radio: Featured Today! "Raintime, Pain Of Salvation..."
Ready for your dose of Metalinicine!? Keeping this brief since I'm still working on jingles, taking your requests and adding more music! Here's today featured Bands! Raintime (IT) - founded in 1999, The band was initially significantly inspired by Dream Theater, and as such composed songs which leaned towards theprogressive metal genre. They then recorded an instrumental demo entitled Jump In the Past. After the demo was released, the band's original drummer quit and Enrico Fabris replaced him. Also, Claudio Coassin, who played keyboards, switched to vocals, leaving keyboards to Andrea Corona. Their sound evolved into a new hybrid and borrows elements both from extreme metal, such as death growls and lower tuning of their instruments, and from more melodic genres, especially in regards to keyboards and vocals. With this new direction, the band recorded their debut album Tales from Sadness in 2005 with Arise Records. The second "official" chapter of the band, Flies & Lies (Lifeforce), released in 2007 and produced by Tommy Handsen, gave Raintime the possibility to perform live at ProgPower USA with bands like After Forever, Virgin Steele and Sonata Arctica. Their latest album, entitled Psychromatic, was released on March 16, 2010. Pain Of Salvation (SE) - In 1984, Daniel Gildenlöw (at the age of eleven) founded the band "Reality" in Eskilstuna, Sweden. One of the early members was Daniel Magdic, who would remain with the band until after the first album was eventually recorded in 1997. In 1987, Reality qualified to participate in the Swedish Annual Music Contest "Rock-SM" (this is the same contest that fellow Swedes Europe won in 1982, earning them international recognition in the early 80s). They were the youngest competitors ever to enter the competition and Daniel Gildenlöw also won the prize for "Best Vocalist". 1990 saw a number of line-up changes, including the addition of talented Johan Langell (then 14 years old) on drums; as the core composers Gildenlöw and Magdic found it difficult to fully implement their musical ideas with the current members. Also joining the band was Gustaf Hielm on bass guitar. Somewhat disillusioned and bored of the "Reality" moniker, Gildenlöw renamed the band to "Pain of Salvation" in 1991. For the next 3 years, the band achieved national success in several contests and competitions. Some of the songs performed during this era can be found on the earlier albums. In 1994, Kristoffer Gildenlöw (Daniel’s younger brother) replaced Gustaf Hielm (who later went on to join fellow Swedish metal band Meshuggah) on the bass. This resulted in a steady group consisting of the Gildenlöws, Daniel Magdic and Johan Langell. The band entered a local studio soon after to record a demo, Hereafter, with a combination of old and new material. While they had recorded several tapes before, this was the first to be actually sent to a record company in the hope of procuring a record deal. This demo however was recorded without a keyboardist. To complete the line up (and sonic requirements) of the band, they began the search for one. It was through this Hereafter tape that Fredrik Hermansson got interested in the band and after an introduction to the band through a fellow student he got the invitation to do an audition. In the autumn of 1996, Fredrik Hermansson became the fifth member of the band. Two of the first companies that the band sent their demo to were Marquee/Belle Antique (a record company in Japan/Asia) and Roasting House (a professional recording studio in Malmö, Sweden). In early 1997, they entered the Roasting House Studio to record their debut studio album, Entropia, which was released in Asia on the Marquee’s Avalon label in August 1997 to positive local reviews. As a result, Marquee decided to fly Daniel over to Tokyo, Japan in October for a week of promotional performances and interviews to the metal press. It was about this time that purchasing albums through online music stores was commonplace, and fans from around the world began to do so with Entropia. As a result, interest in Pain of Salvation grew around the world progressive metal scene, leading to another licensing deal – this time for Romania with SC Rocris Discs in late 1997. The album was eventually released in Europe in 1999, when Pain of Salvation signed to major progressive music label InsideOut Music following the success of their second album One Hour by the Concrete Lake. It was also released in South America on Hellion Records in 1999. Preparations for the band’s second album were somewhat disrupted by the departure of Daniel Magdic from the band prior to recording. 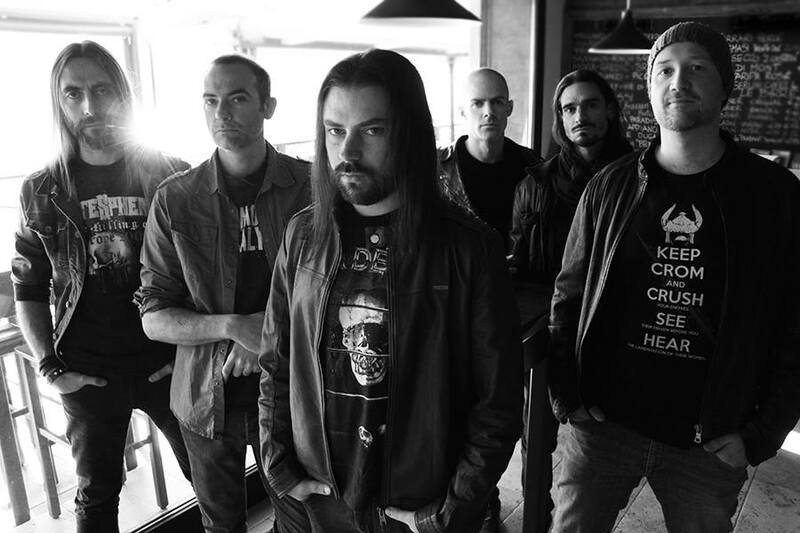 The departure was due to Magdic's continuing disagreements with the others over committing to the increasing demands of the band as a result of their initial success. He still remains a friend of the band to this day. After a short audition period, Johan Hallgren was his initial replacement. Johan had played for a short period together with Daniel in the band Crypt of Kerberos. Johan was immediately involved in the recording process, facing the daunting tasks of learning all the new songs with extreme short notice. Indeed, because of the complexity of the guitar parts in the new material, Daniel Gildenlöw was prepared to play all the guitar parts himself. Hallgren surprised all (he learned the whole album in three weeks), however, and was able to play on the album as a full member of the band. This worked out so well that he was announced as Magdic’s official replacement in April 1998. The resultant album, One Hour by the Concrete Lake, was released in Asia (once again on Avalon) in July 1998 with an even more positive reception than their debut album. It was immediately hailed as a classic masterpiece, receiving extensive attention from fans and magazines all around the world. It was described as heavier and darker than Entropia, and considered a much more mature effort, with every existing positive about the band focussed and improved on. The buzz about the band had well and truly spread to Europe by now, and the multitude of positive reactions was the catalyst for the band to be signed to major progressive music label InsideOut Music and later their American counterpart, InsideOut Music America. During the South American release (once again on Hellion) in May 1999, the band embarked on a European tour supporting fellow progressive metal bands Threshold (U.K.) and Eldritch (Italy). They also played at their first ProgPowerfestival in Tilburg, The Netherlands on November 14, 1999. After a short break to regroup, Pain of Salvation recorded their third album, The Perfect Element, part I in March to July 2000. Released in October 2000, the album garnered a huge response from media and fans all over the world. In support of the album, the band toured Europe again in September and October 2000, this time with Arena (UK). In February 2001 the band played their first show in the USA, as headliners of the famed ProgPower USA festival, with the likes of Symphony X and Evergrey. Later that month, they also paid a visit to Iceland. In late 2001, Pain of Salvation recorded their fourth album, Remedy Lane. It is remarkable in the fact that it was almost entirely written during a two-month period from August to September 2001 by Daniel Gildenlöw. Released in January of 2002, it was also greeted with extensive praise from the progressive metal community, being hailed as their finest creation yet. During the Remedy Tour, Pain of Salvation were invited as a special guest opener for Dream Theater. Both albums (and the band's earlier catalogue) were now much more accessible to music listeners now that they were on a major label. They were hailed as bringing originality and diversity to the genre, which many followers had been considering quite stagnant. They are often praised for their excellent conceptual cohesion. The Perfect Element, part I is a work examining the events that form an individual as they move from adolescence through to adulthood. Scarsick, released in 2007, is The Perfect Element, part II, although not in name. Remedy Lane is a part-autobiographical, part-fictional tale of a period of Daniel Gildenlöw’s life dealing with the issues of love, lust and life. Both albums were once again recorded at Roasting House Studio in Sweden. On May 12, 2003, Pain of Salvation performed an acoustic concert in their hometown of Eskilstuna before a crowd of 80 special guests. The concert was recorded and released as 12:5 in early 2004. It featured dramatically rearranged versions of the band’s past material, owning to Daniel Gildenlöw’s desire not to simply create a “Pain of Salvation: Unplugged” record. As a result, the band and fans consider the album as a stand-alone work, and not just a 'live album'. The album was widely applauded for its audacity in re-interpreting past material in such a way, though others found the new versions of favourite songs much less enjoyable. For the better part of 2003 and 2004, the band worked on their most serious undertaking to date: a concept album about the nature of existence of God and humankind. It was Daniel Gildenlöw who has been working on and off on it since 1996. The recording of the album was preceded by a number of live shows in Eskilstuna, where the band performed the album in its entirety. The shows were full productions; with costumes, stage props and screen projections. They also featured a nine-part orchestra, The Orchestra of Eternity, whom Gildenlöw had in mind while composing the music. As a result, the orchestra features prominently in the material, and is essential to its sound. After the conclusion of the shows, the material was tweaked and refined by Gildenlöw before the recording began in February 2004. In September 2004, the band’s most ambitious album, "BE", was released. It was the first album to divide the fan-base in opinion, because of its musically experimental and philosophical nature; and perhaps also its lack of cohesive progressive metal pieces. 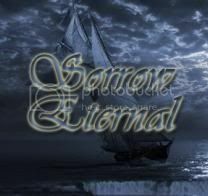 It once again featured The Orchestra of Eternity, and included a memorable song whereby the band had set up a phone line for fans from around the world to ring and leave their message on “God’s answering machine”. There was an overwhelming response from fans who laughed, cried and poured their soul into their messages. The messages were collated and presented with a peaceful instrumental accompaniment, resulting in what the band considers to be one of their most touching tracks they have ever recorded. Pain of Salvation has not played in the United States since 2004, when Daniel Gildenlöw expressed his refusal to take part in the US policy of fingerprinting all out-of-country visitors, as well as his contempt for the Bush administration. He feels it infringes his democratic rights and personal integrity. On 22 January 2009 he announced his support for the newly elected President Barack Obama and said the band will be lifting their embargo on the country, but reaffirmed his position on the fingerprinting policy. On 21 February 2006, Kristoffer Gildenlöw was asked to leave the band for not being able to attend rehearsals, since he lived in Holland and the band lived in Sweden. Kristoffer has a solo album planned for the future, as well as a side project called Dial, born with the release of "Synchronized" in 2007. The next studio album Scarsick was released on January 22, 2007, despite having being leaked early in December 2006. The album met mixed reviews criticizing its different approach to the bands music being significantly more band oriented than the previous album "BE". Interviews with Daniel revealed that Scarsick is a continuation of The Perfect Element, part I, using similar themes touched in that album. Because of Kristoffer's departure, Daniel played bass in the studio on the album. The band toured Europe, and a few shows outside of Europe, including one in Egypt. A touring bassist was recruited, and on March 10, 2007 he was made a full member of the band and is credited so on the second live DVD recorded. The concert featured on their second live DVD, Ending Themes (On the Two Deaths of Pain of Salvation) was performed in Amsterdam and it features a cover of the popular Leonard Cohensong Hallelujah. Following numerous delays, the DVD was released on March 24, 2009. On April 29, 2007, an official statement was published on the official site announcing that Johan Langell was departing because of his desire to become a full-time parent and husband. He stayed with the band to finish the rest of the tour off before leaving completely. He also stated that he might remain on close terms with the band in order to teach drum parts to his replacement. On October 6, 2007, during the show at the "Motstøy" festival in Notodden, it was announced that Johan Langell's replacement will be Leo Margarit. Both drummers attended the show and Leo entered the band by doing a 3 minute drumsolo in the end of the song "Nightmist". Similarly, late in 2008, Simon Andersson left the band and was added to the graveyard section of the official website. An official statement regarding this incident was released by Simon indicating his decision to leave was understood by the rest of that band, further stating it would allow him more time on his own side projects as well as recuperation from the previous tour in support of Scarsick. On February 13, 2009, it was announced on Myspace that Pain of Salvation would take part in Dream Theater's "Progressive Nation 2009" tour beginning in the summer. It would have been their first tour of America in more than 5 years. However, the recent bankruptcy of SPV forced both Pain of Salvation and Beardfish to back out of the tour because of a lack of financial backing. In a recent interview with Inside the Pain, Daniel Gildenlöw stated that the new album was planned for release sometime in mid August, during their now cancelled Progressive Nation tour appearance, however this release date was not likely. On November 1, 2008, the band debuted a new song, "Mortar Grind", from their upcoming studio album and EP. According to the same interview with Inside the Pain, it was revealed that the new album would feature 2 CDs, 22 songs in a concept similar in style to that of Remedy Lane. The music written is 'different to anything the band has ever done before' featuring experimental and psychedelic style performances. In a recent update on the band's official website, it was stated that the final steps in the completion of the new album were put on hold because of the bankruptcy of SPV. Recently however it was announced that InsideOut Music was picked up by Century Media, allowing progress on the album to continue. On October 5, 2009, Mike Portnoy of Dream Theater announced that Pain of Salvation would be their supporting act for a tour of Australia. In December 2009, it was confirmed that the title track of the new double album, "Road Salt," would be an entry in the 2010 edition of Melodifestivalen, Sweden's national final for the 2010 Eurovision Song Contest. The band performed during the first semi-final and qualified for the runners-up broadcast, on march 6th on Swedish national television. However, they did not progress to the finals, losing to Pernilla Wahlgren by a slim margin. On February 19, 2010, Daniel Gildenlöw revealed on his Facebook page that the name of the first part of the Road Salt albums to be released later that year would be "Road Salt 1: Ivory". He also posted a brief lyrical excerpt from a song on the album called "Curiosity". The actual release dates were set for May 17 in most of Europe and June 8 in the U.S. The release includes both a standard edition and limited edition with a bonus track and extended versions of 'No Way' and 'Road Salt'. On May 9, Road Salt One leaked on the internet. Pain of Salvation made their first tour of India in January with performances at Manfest organised by Indian Institute of Management(IIM), Lucknow on the 22nd of January and at Saarang, organised by Indian Institute of Technology(IIT) Madras on the 29th of January. 'Road Salt Two' was mixed and mastered in mid-May 2011, and released in September 2011.